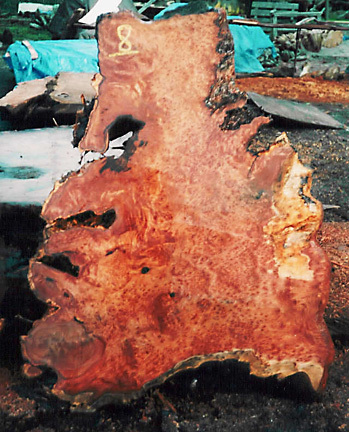 Burl Country specializes in the retail market of raw redwood, buckeye, and maple burl slabs. 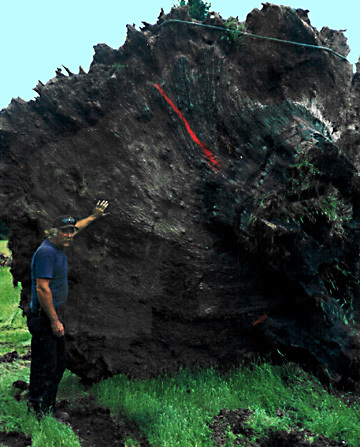 We also sell whole buckeye burl stumps.Also available are whole blocks and chunks of redwood burl suitable for turning stock.We have a nice selection of large redwood root sculpture pieces suitable for landscaping, fountains, and free form sculptures. 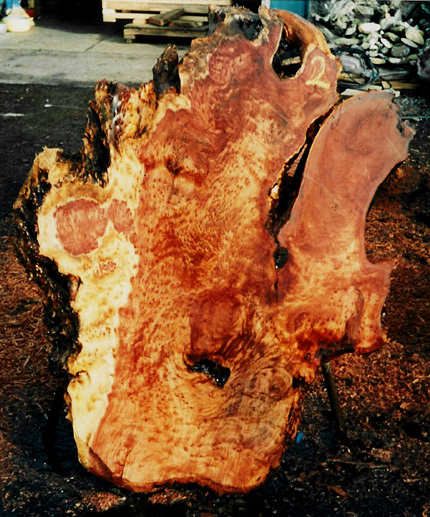 We currernty have whole buckeye burls in stock for sale as well as slabs suitable for clocks, tables, wall hangings. Call for pricing. Come visit our showroom! 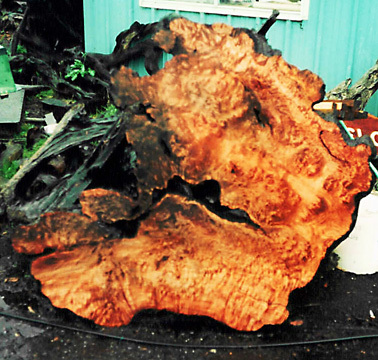 We have a large selection of finished burl wall clocks, custom turned burl bowls by Nathan Willis, finished boxes, pen sets, desk clocks redwood jewelry and much more! Click on the link below to view our price list. Click on the link below to view our special items! 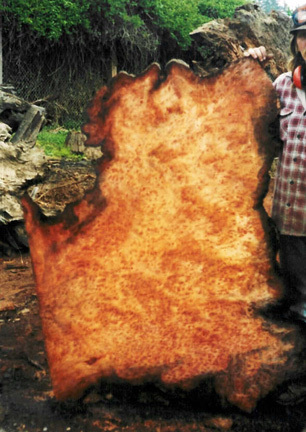 Please note that the slabs pictured below are not availible for sale. 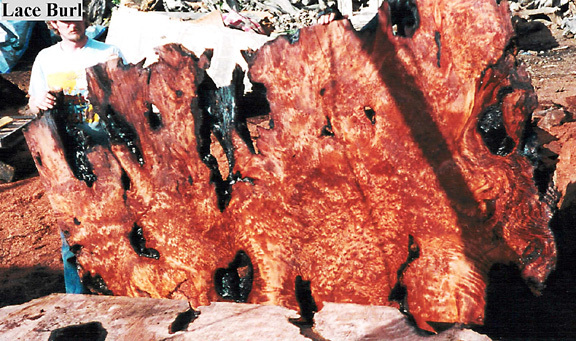 Please note that the availibility of Redwood Lace Burl is extremely limited. 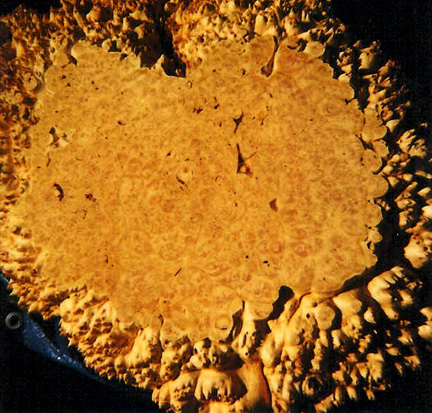 Due to this, we do not regularly have it in stock in large slabs. 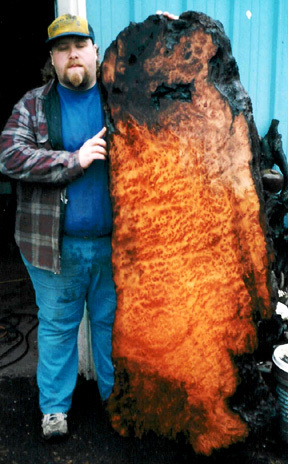 Over the last several years, our company has been providing top quality buckeye burl to custom guitar makers, knife makers, custom pen turners and many others from around the world. 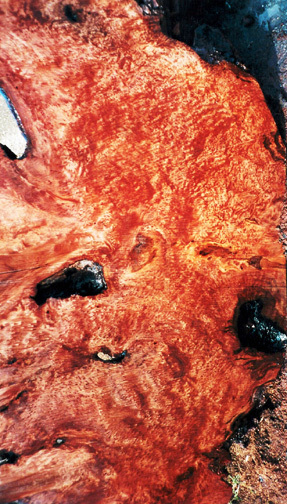 If you are an custom wood worker or a retailer and are interested in using burl, feel free to contact us about the availability of buckeye, redwood,or maple burl for your project. 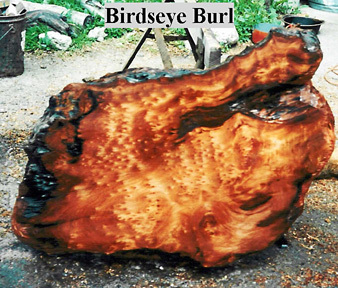 For Information and Orders contact: orders@burlcountry.com Please include your name and a phone number with your email.